In my Find, Buy, Sell Series I will be taking you through the four categories of real estate investing. Part 1: How to find properties. Part2: How to evaluate the properties Part 3:The renovation process and Part 4: Sale and closing. Not all contractors a created equal. 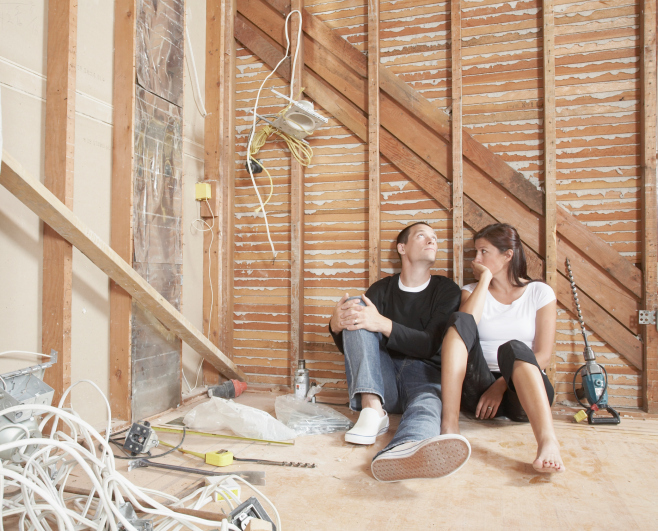 Investors generally have two different models when it comes to renovating a home. One model is to hire a contractor for each trade in the renovation. So one contractor who will do the electrical, one for mechanical, one for plumbing, a handyman and so on. In this scenario, the investor becomes the “Projector Manager” and is coordinating the entire renovation and all trades. The second way to do it is to hire one general contractor who will manage the entire renovation and hire his own sub-contractors to perform the various parts of the renovation. Either way is fine and it really comes down to how much time you have, If you are working on a property here and there scenario one may be best for you, if you are working on 50-100+ renovations a year there will be no way you can manage the renovations yourself. In either scenario make sure you spend time interviewing the different contractors and verifying their level of craftsmanship, skill and expertise. A bad contractor can destroy your renovation and cost you twice as much money to hire someone to fix the mess. You will have to make sure your contractors are licensed and insured and come with good references. It is easy to fall into the trap of wanting to hire the cheapest contractor on the block after all this puts more money in your pocket when you resell the home right? That is the wrong way to think, I can tell you without a doubt DO NOT HIRE THE CHEAPEST CONTRACTOR ON THE BLOCK!, these contractors will cost you more money than you can ever imagine, a good contractor may cost more but will ultimately put more in your pocket with providing you a quality product that sells fast and comes with no lingering issues. · *May get into arguments with you and walk off the job, put liens on your property, etc. · *You may have to re-renovate their renovation! · *Going over schedule can cost you a lot of money in carrying costs, utilities, insurance, if you have a loan on the property. Keep a close eye on this. Consider enforcing a late fee to your contractors for every day the project goes over schedule. · *Hire slow, fire fast! · * Call around when shopping trades don’t choose the cheapest don’t choose the highest look for middle grade. You will be surprised at the vast differences in pricing. · *On average, a renovation should take 1 week for every $10,000 spent. If you have a $30,000 renovation, it should take three weeks. Time is money and opportunity in this business.